Participate in community group projects and enter building contests. Check in here for details on current and past projects and contests. This is Bracket 7 of the Sweet Sixteen round. You have 3 days to vote. Good luck! How to choose, how to choose?!?! Thought you'd like this about the Vatican cameos. Wow, this was by far my hardest choice in this round, and it really shows in the close race. WELL DONE Darkblane, great Mech with great details in particular the weapons and greebles. Thanks to FBTB for another fab contest. And here's to the voting getting even harder next round. Wow did not expect that one! I really enjoyed the grittiness of the Green Goblin, sad to see you go. 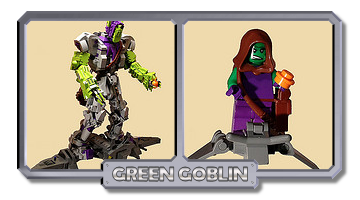 Rook wrote: I really enjoyed the grittiness of the Green Goblin, sad to see you go. 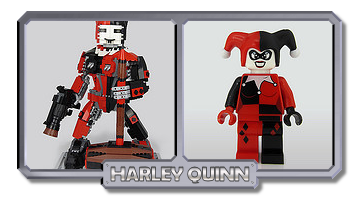 Wow, I knew this was going to be close when I saw the pairing, but with only 5 votes in it, this could easily have gone either way, so Darth Mitz you also deserve a well done for a great MOC. It's interesting to see that we both had a similar idea of supersizing the minifigs and both of these MOCs got paired against each other. The next round should be interesting. I don't hold up much hope going up against N.O.R.A, considering how much support it's already received, but you never know what can happen ... and it's fantastic to get this far in the contest anyway.